Looking for the best black/UV light for your setup? Check out our buyers guide below! Looking for the best UV black light or LED black light? We’ve reviewed the best black lights so your glow party goes off! A glow in the dark party needs the best black light, so let us guide you through the best out there. Short on time? Here’s a list of our top picks! Jump ahead to our full reviews of each black light: click here. Lighting 101: So what is a black light? Few things are as captivating as a room where everything glows in the dark! Investing in a high-quality black light will expand the creativity and aesthetics of what you do. Glow-in-the-dark events are all the rage and there’s no evidence they’re going out of style. So how do black lights work? Why do they make things glow? Let’s start with the term “UV light.” As you probably know, this stands for “ultraviolet light” which just happens to be undetectable by the human eye. The visible light spectrum (what the human eye can see) is shown below. Our eyes only respond to wavelengths of 390-700nm which includes red, orange, yellow, green, blue, and violet. The color above red is called infrared and the color below violet is called ultraviolet. As you can see from this chart, ultraviolet frequencies are outside the visibility range (10-400nm), so we technically can’t see them. This then begs the question: why do things visibly glow under black lights? If we’re not seeing the UV rays, what are we seeing? The answer is something called phosphors. A phosphor is a substance that emits visible light in response to radiation (for example, bright white clothing, teeth, fluorescent paint, etc). A phosphor converts the energy in UV radiation from a black light into something we can see. This glowing phenomenon has a lot of practical purposes beyond DJ lighting, making UV lights quite useful in fields like medicine and forensics. So what is a black light? It’s a light that mainly emits ultraviolet light that can’t be detected by the human eye, but causes phosphors to react and glow. Many black lights emit a bit of blue and violet visible light too, which is why they show up even without phosphors. But you will quickly notice that a black light’s visible output is far less than a conventional household lightbulb. The goal is not brightness, but activating phosphors. For our purposes (and so you’re not bored to death!) we will focus on two types of UV lighting – fluorescent and LED fixtures. These types of black light are popular due to their high output capability and effectiveness in making things fluoresce, or glow. In other words, they look rad. Let’s start with fluorescent bulbs. There are two main types: blacklight and blacklight blue. Blacklights – although we normally refer to every UV light as a “black light,” this is not totally accurate. In the lighting industry, a “blacklight” is not what you might think. In fact, they’re hardly worth mentioning for our purposes so we’ll keep it brief. 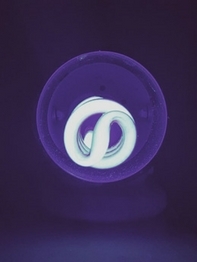 Blacklight bulbs emit both UV and blue light. What’s the significance of this?Since they use a combination of both UV and visible light, blacklights actually make it difficult to see objects fluoresce (the blue light essentially drowns out the UV effect). If you’re looking for a cool glow effect, this is not what you want. So what are blacklights used for? They’re often used in insect zappers, so although they’re not great for DJs, we’re still appreciative for the role they play in eliminating all those annoying mosquitos! Black light blue (BLB) – the second category of fluorescent light is called a “black light blue.” This is the type of bulb that makes things glow, which is why many DJ products feature BLB lights. So how are these lights different from regular blacklights? BLBs are constructed from a deep violet-blue glass known as Wood’s Glass. These bulbs are purple when unlit and almost appear black. The purpose of these bulbs is to filter out most visible light above 400 nm, thus allowing only ultraviolet and infrared light to pass through. The result? Although these fixtures don’t appear to put off much light, the invisible UV wavelengths will cause brilliant reactions in local phosphors. Translation: everything within reach of the UV light will glow beautifully. With less visible light to interfere with the phosphors, BLB bulbs are the ultimate in achieving the black light effect we all love. One more nerdy explanation, then on to LEDs. If BLBs block visible light from escaping the bulb, then why do they glow so brightly? The answer is that you’re actually seeing phosphors in the bulb itself. How it works: inside BLB bulbs mercury vapor mixed with a rare earth gas (argon or xenon) is activated by an electrical current. The mercury inside the light produces short wave UV light, which then fluoresces the inside of the glass. The glass gives off visible light, or black light, which is what we see. So why go with a BLB? The main reason to invest in blacklight blue fixtures is their affordability. Traditionally BLB lights come in tube form and won’t break the bank. If you’re looking for a relatively inexpensive way to light up an area, this might be the option for you. Solid BLB fixtures don’t allow much visible light to interfere with the UV effect. One potential drawback is how fragile these lights tend to be – they’re easy to break. Unless you’re buying a sturdier fixture that protects the bulb itself, most tube BLBs are not made for the road. In case you were wondering LED stands for “light emitting diode.” In the last decade LEDs have dominated the lighting market for good reason. They boast an incredible life-expectancy (in some cases up to 100,000 hours), which far outpaces BLB lights. LEDs tend to be more durable because they contain no filaments or components to burn out. Unlike fluorescent lights, they do not contain mercury which is a poisonous metal. 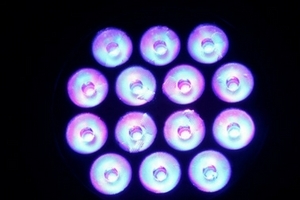 When it comes to black/UV lighting, LEDs are steadily dominating the market. One benefit of investing in a LED fixture is the ability to control them via DMX. UV lighting these days is not limited to washing a dance floor or stage. DJs now enjoy a broad spectrum of capabilities including dimming, strobing, etc. UV lights can now be incorporated into light shows with creativity and versatility. LEDs are extremely energy efficient and run cool so there’s little fire risk. Additionally, they allow manufacturers to control the exact UV wavelengths that are emitted from the unit. This means you can eliminate violet and blue wavelengths which “get in the way” of the UV effect. Of course, every technological advance comes with its naysayers. One criticism of LED UV lights is that manufacturers use the “wrong” type of LEDs in many popular models. What do they mean? Basically the ideal wavelength of an UV LED is 365 nm because this causes the brightest and most dramatic glow-effect, while simultaneously preventing interference from visible light. Despite this fact, many manufacturers often opt for 405 nm. Why? Price and efficiency. First, the ideal 365 nm LED is often more expensive than other types. Second, a 365 nm LED is only about 20% as efficient as a 405 nm LED. While this may feel overly technical, it is something to consider if you have a strong need for absolute darkness when achieving a UV effect. Our advice? While LED purists may insist on black lights that utilize 365 nm LEDs, for most purposes this isn’t necessary. For most DJs, the subtle wash effect of many popular black lights is desirable. Even if that’s not the case, DMX dimming makes it possible to back off the light’s intensity. Many lights highlighted in this buyers guide will achieve a fantastic glow-effect while offering the customization of DMX. That’s a hard combo to beat! If you are looking for a fantastic black light that uses 365 nm LEDs, check out the Elation UV Spot 670. Long wave ultraviolet (UVA) is safe for the eyes. However, medium and shortwave UV light can damage them (UVB/UVC). This is why traditional black lights have an average wavelength of 365nm and utilize glass to filter out anything below 320nm. So rest assured – when using any of the black/UV lights in this buyers guide – you don’t need to worry about your corneas incinerating! All of the fixtures listed here are safe and only emit UVA. Why invest in a high-quality black light? If you browse any party supply store, you’ll usually find an assortment of black light bulbs and fixtures. The problem is, these lights are rarely durable and leave much to be desired in their glow-effect. But then again, is it worth it to drop several hundred dollars on a high-quality UV light? The answer is ultimately up to you, but here’s a few considerations to help you make a good investment. Cheap lights never pay off in the long run! Many UV party lights claim to get the job done, but their life-expectancy is infamously short. There may be some exceptions, but investing in something cheap that won’t last ultimately costs you more money than if you had initially invested in a professional light. Even if you can’t afford a top-level fixture, there are plenty of quality black lights available that won’t break down after a few uses. Keep up with your competition. In some DJ markets (like school dances), lighting is everything! Whatever your context, chances are your competition owns and uses black lights. Thankfully it’s not hard to keep up given the abundance of quality black lights. Don’t get left behind. Invest in your light show and keep clients impressed with what you do. Happy clients means more business for you! Black lights are a ton of fun! Is fun an appropriate consideration when weighing the pros and cons of purchasing a black/UV light? We think so! In fact, it’s a huge part of the decision. Any piece of gear can be written off as a “luxury”, but aren’t we in the business of entertainment? Rather than mediocrity or predictability, isn’t the goal exceeding the expectations of our clients? Black lights add a indispensable fun dynamic to any event. People love the glow-effect produced by a UV light (this author included). This is an investment you are certain to have a lot of fun with. Luckily UV lighting is on the rise and helpful innovations are continually developing. All that to say, there is probably a black light well-suited for your purposes. So the primary question is: what will you be using it for? A glow in the dark party? Mounting to a surface with black light strips? Uplighting? To wash the dance floor? To light up a scrim? As a cool component to your light show? For stage productions? Maybe it’s a combination of all these applications. Our advice: read through the following Black Light Buyers Guide and get a feel for the countless ways they can be implemented. A lot of people search black light amazon but the results are overwhelming. Don’t just consider how you might use a UV light now, but dream about the future. Invest in a light that can grow with your business and creativity. Think big! How To Use Black Lights? There are endless ways to enjoy a glow party or other event with your black light. Depending on the product you invest in, the applications will vary. For example, using black light strips allows you to mount the UV lights to any surface. This is probably the most versatile option! 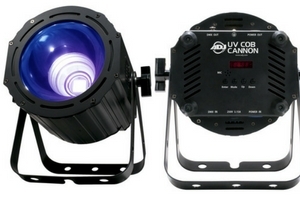 You can also use UV stage lights like the ADJ UV Cob Canon to illuminate a production, school dance, or bigger events. A black light bar is useful in uplighting a wall or flat surface, but can also be mounted to provide flood-style lighting – the Eco UV Bar plus IR is an excellent choice. Remember, whether you’re looking for the cheapest black lights or looking to invest in a top-of-the-line model, we’ve got you covered. 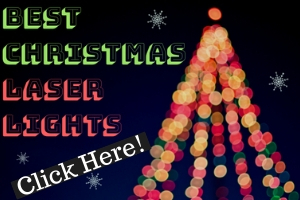 Enjoy reading our reviews and good luck finding the best LED black light on the market! The Eliminator E-124 is a highly affordable 40-watt florescent black light – perfect for indoor parties. Just plug it in using the 4-ft power cable and enjoy! These units are ideal to place in stationary locations long-term, like a restaurant, nightclub, venue, house etc. They can be mounted on the wall via the convenient flush panel hanging bracket. The E-124 is equipped with a reflector for optimum lamp output. It makes things glow in smaller spaces like a living room, front porch, or garage. Mobile DJs can use this light to illuminate their setup or the dance floor. Just plug this black light in and go! Any drawbacks? The Eliminator E-124 is 4 feet long (dimensions: 49 x 5 x 2.5 in) and weighs only 4 lbs. Although it is lightweight, it is not an ideal fixture to cart around at gigs. Due to the glass florescent tube, this light is pretty fragile. If you’re using it at home or mounting it in one place for an extended period of time, problem. But if you’re looking for something more transportable, you might want to check out some of the lights below (especially in the Best Black Light for DJs section). If you’re looking for a simple and affordable black light, check out the OPPSK UV LED Bar. 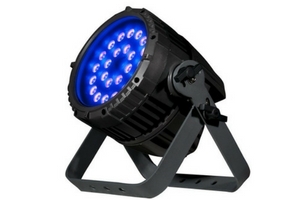 This light is perfect for house parties, DJs, small stage productions, Halloween setups etc. It’s compact construction (18.1 x 2 x 2 in) makes it easy to place. Although this light isn’t manufactured by a major lighting company, it earned a spot on our list because of its high Amazon reviews. 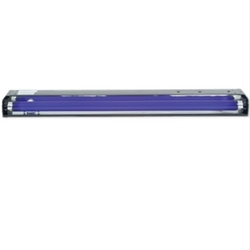 The OPPSK UV LED Bar is housed in an aluminum alloy casing. It features 9 3-watt LEDs so this fixture will provide a glowing punch to any situation. Weighing only 1.3 lb, it is easy to move around and lift. Turn the unit on and off via a simple switch. A 360-degree adjustable bracket allows you to angle the light in whatever direction you desire. Any drawbacks? Chances are if you’re looking for a budget black light, you’re not planning to use DMX. Not surprisingly, this unit has no DMX capability. You can turn it on and off, and that’s it. Once again, this light is perfect for smaller spaces (like a living room) that you want to fill with UV light. Depending on your desired application, keep in mind this light is for indoor use only. The OPPSK is not designed to withstand outdoor weather or conditions. If you’re a mobile DJ and plan to use this light at gigs, we recommend transporting it in a case. Want the larger version with twice the LEDs? Check it our HERE. American DJ is a leader in producing high-quality, versatile lighting fixtures. The ADJ Eco UV Bar is an affordable fixture that doesn’t cut corners on quality. It is primarily for indoor use and ideal for performance stages, theatrical productions, mobile DJ setups, and special FX installations. This fixture includes 18 3-watt LEDs with a 120-degree beam angle, which will create a glow-effect in a fairly large room. With LEDs rated at 50,000 hours, you’ll have no worries about replacing diodes. Position the light exactly as desired thanks to mounting brackets. You can attach this to a lighting stand, truss, or place on the floor as uplighting. Due to the Eco UV Bar’s sleek design (39.5 x 2.5 x 4.5 in), it fits nicely under scrim or behind a DJ facade. Weighing only 6 lbs, this light is easy to move around and won’t add unnecessary weight to your lighting stand. Unique Features: What makes this an exceptional light, especially for the reasonable price, is its controllability. There is an on/off switch on the rear panel, but this light also comes with ADJ’s IR remote. This allows you to turn the fixture on and off and also make it strobe. With a simple remote click, this UV light will strobe brightly and add some variety to your light show. If you’re looking for a little more coverage in a UV light, the Eliminator EUV 10 is reasonably priced and very bright. Thanks to 10 1-watt LEDs (rated at 50,000 hours), this fixture is designed to cover wide areas. To maximize the light’s coverage, hang it on a stand or truss and aim it diagonally towards the desired area. The EUV 10 features a solid adjustable hanging bracket so you can mount it using any clamp. At only 3 lbs, this black light is easy to transport and set up. Of all our budget black lights, we recommend this one for mobile DJs and clubs. Whether you’re lighting up a dance floor or bar area, this light is extremely bright. Unique features: the EUV 10 can be daisy-chained allowing you to link up to 28 fixtures on a single outlet. A “power out” socket on the rear panel makes this easy to do. Especially in a situation with limited power outlets, this feature will save DJs time and stress. When it comes to finding a powerful, versatile DJ black light, we highly recommend checking out the American DJ UV Bar 20. For starters, thanks to 20 1-watt UV LEDs this fixture has a high output and is extremely bright. With a wide beam angle (10 degrees vertical, 40 degrees horizontal), the UV Bar 20 is ideal for washing large areas like a dance floor, gym, backyard, bowling alley, glow-in-the-dark dodgeball court, etc. When mounted to a stand or truss, this light has a tremendous throw that will illuminate everything within reach. Wireless Remote: the UV Bar 20 comes with a wireless IR remote, which makes it easy to control the light without accessing any of its DMX features. Use the remote to turn the fixture on/off as well as control its strobe speed. More LEDs: as you likely deduced from the name of this light, the UV Bar 20 has 4 additional 1-watt LEDs than the previous model (LEDs rated at 50.000 hours). This added brightness makes the fixture all-the-more ideal in situations requiring a powerful UV effect. In some settings you may actually want to tone down the UV intensity, which is simple thanks to DMX dimming from 0-100%. Power Linking: Every DJ has experienced the terror of running a lot of power cables. One notable upgrade included in the UV Bar 20 is power linking. On the back panel of this light you will find IEC input/output sockets. 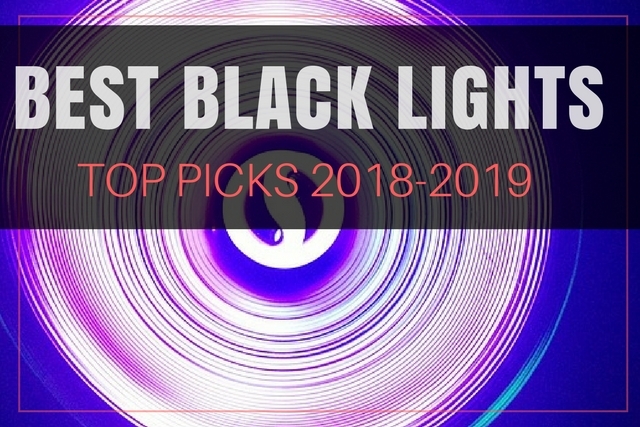 You can link up to 10 fixtures @ 120 V and 20 fixtures @ 230 V.
All-metal construction: this light is not only bright but tough, which is why we’ve made it #1 on our list of best DJ black lights. The housing on the ADJ UV Bar 20 is metal – no cheap plastic here! Brackets: you can mount this light easily thanks to dual metal brackets. Due to its wide horizontal beam angle, you can also use this light for wall washing. DMX Control: the UV Bar 20 offers three DMX channel modes that include features like strobing, electronic dimming, etc. 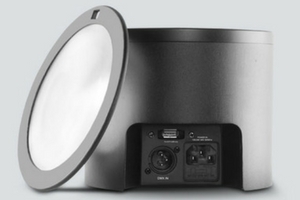 4 Modes: like many ADJ fixtures, this light includes an LED panel on the back. From this panel you can set the light to one of four operational modes: sound active, DMX 512, Master/Slave, and Manual. Compact: despite the power and throw of this light, it is compact (13.25 in. long, 2.5 in. wide, 7 in. high) and weighs only 6 lbs! Runs Cool: unlike some UV lights, the UV Bar 20 runs very cool so you don’t have to worry about burning yourself or your clients. Operate this light for hours without worrying about it overheating. The ADJ UV Bar 20 is an excellent light for DJs, productions, and virtually any setting that requires a powerful UV effect. 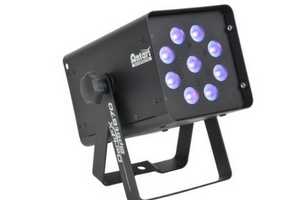 Operate with or without DMX and enjoy features like strobe, dimming, and sound active. Conveniently power link multiple fixtures and reduce the number of IEC cables in your setup. Durable metal design that is still light/compact. Dimensions: 13.25 x 2.5 x 7 in. Chauvet’s LED Shadow offers a unique look and design and has quickly become one of the best-selling black lights for DJs. This fixture is easy to mount to lighting stands or truss (using o-clamps). 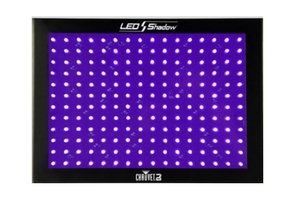 Additionally, due to its flatscreen-style construction, the LED Shadow can also be mounted directly to a wall. Mount it without even needing a stand! This light is reasonably priced and offers high-level features like DMX and sound-active mode. Perfect for birthday parties, dances, stage performances, etc. Unique Panel Design: the Chauvet LED Shadow provides a powerful LED wash using 192 .25 watt LEDs (ranked at 100,000 hours). Why so many LEDs? One of the coolest aspects of this light are the built-in auto-programs that allows the LEDs to flash and strobe in patterns. The result is a light that catches the eye and performs in ways other black lights simply can’t pull off. Mounting Versatility: this fixture offers multiple mounting options. First, a traditional bracket allows easy attachment to any stand using an o-clamp. Additionally, the LED Shadow can be mounted directly to a wall using flush brackets (much like a flatscreen TV). This allows for more permanent installations if desired. Operational Modes: this light includes several modes including auto, sound active, manual, and master/slave. If you’re in a hurry or don’t want to mess with DMX, this light easily functions as a “plug and play” fixture. On the back there is a menu display with buttons, as well as a microphone sensitivity knob to give you easy access and control of all features. 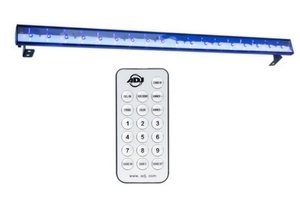 Remote Control: for added convenience please check out the Chauvet IRC-6 remote. If your light is mounted in a high location, this remote allows you to control the LED Shadow from the ground. DMX Features: explore the full capabilities of this fixture by connecting it to your preferred DMX controller. Not only does this light feature pre-set programs, but you can make it blackout, run static, dim, and strobe. Power-Linking: thanks to this light’s low power draw you can link up to 43 units @ 120 V and 74 units @ 230 V.
The Chauvet LED Shadow is an innovative and affordable addition to your setup. Although not as compact as some other black lights, it provides a unique visual effect that makes its dimensions well worth the space. Dimensions: 14 x 9.8 x 6.5 in. Next on our list of Best DJ Black Lights is the American DJ UV COB Cannon. This black light spotlight creates a very powerful, high-output UV wash effect that’s ideal for virtually any context. Whether you’re adding this light to your DJ rig, special effect installation, club, or stage lighting, you will not be disappointed. Built into the light are 5 selectable dimmer curves including standard, stage, TV, architectural, and theater. The LEDs in this light offer 81 watts of UV light (rated at 25,000 hours). Competitively priced, this is an investment worth making. Technology: The technology in this light is worth mentioning. It features COB (chip on board) LEDs, solid state electronics, and a 100-watt UV LED engine, which means very smooth color and dimming performance. With flicker-free operation, this light allows you to get high-quality video footage of any performance. Operational Modes: the ADJ UV COB Cannon functions in three modes – sound active, manual, and DMX. Link up multiple units via 3-pin DMX cables and create synchronized light shows. For those not using DMX, enjoy American DJ’s easy-to-navigate LED panel which gives you access to the same features. This light is capable of strobing and dimming 0-100%. Power: this black light canon offers a long throw without utilizing too much power (up to 120 watts total). Power-linking is available via the security of PowerCON connectors. The ADJ UV COB Cannon is black light flood lights that’s a powerful addition to the world of best DJ black lights. It provides high output, incredible dimming curves, advanced COB technology, and DMX compatibility. What makes it different from other UV lights we’ve reviewed? Mainly it’s bright output and high-tech electronics. This is a high-quality fixture built to last. Dimensions: 12.75 x 11 x 8 in. The American DJ UV Flood 36 is a powerful and compact black light with 12 3-watt LEDs. 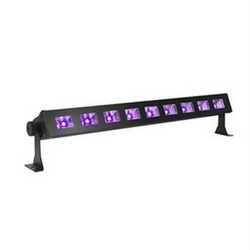 This UV fixture is easy to transport and set up, making it a great choice for mobile DJs. Thanks to a sturdy metal hanging bracket, it is mountable and can also be installed permanently if desired. What does this light make our list? The ADJ UV Flood is stellar at washing large areas due to its 57-degree beam angle coverage. If you’re looking to wash an entire gym or ballroom with an incredible UV glow-effect, this light is up to the task. Brightness: not only will the 12 3-watt LEDs (rated for 50,000 hours) in this light provide a bright UV wash, but its 57-degree beam angle will cover large areas. DMX: this fixture offers 3 DMX modes allowing you to control features like sound-active mode, strobe, and dimmer (0-100%). Link multiple lights with a 3-pin XLR cable. Control Panel: for those not desiring to use DMX, the UV Flood 36 includes a back panel LED display with 4 control buttons. This allows you to control the light quickly and easily. Remote Control: this light is compatible with the American DJ Dotz Par RF Remote so you can easily control the light even when it’s mounted in a high or out-of-reach location. The American DJ UV Flood 26 offers a powerful wash black light at a fraction of the price you could pay for something comparable. This fixture contains all the features a mobile DJ will need: DMX, manual rear control panel, compact and lightweight design, sound active mode, electronic dimming, and hanging bracket. This light was designed to fill a room with UV light and it does so outstandingly. Dimensions: 11.75 x 9.25 x 4.5 in. 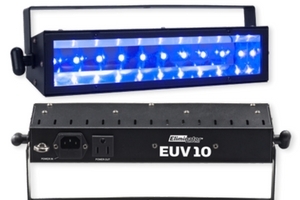 The Elation UV Spot 670 is a high-quality black light that utilizes 365 nm LEDs. This light will achieve a pure UV effect with minimal extra visible light. If you don’t want extra light interfering with your glow-effect, the UV-Spot 670 is definitely worth serious consideration. With LEDs rated at 20,000 hours, it’s built to last and can be used in mobile or stationary contexts. Featuring a 15-degree beam angle, its coverage is precise and powerful. With so few 365 nm UV LED lights on the market, the UV-Spot 670 is truly exceptional. Flicker Free: this light allows you to capture high-quality video without worrying about the dreaded flicker-effect in your footage. 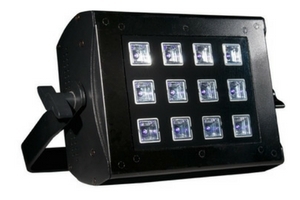 The LED technology in this fixture is top-notch ensuring your videos will come out clean. Control Panel: this fixture includes a control panel on the back with 4 buttons. Adjust the brightness and strobe speed quickly and easily. Durability: the solid metal housing on the Elation UV-Spot 670 is road-ready and durable. This is a light you can setup/teardown at gigs. Make sure to store your investment in a quality case. Mounting: a dual bracket can be adjusted with a convenient knob, so you can mount to a stand or truss. The bracket can also be used as a stand so you can easily station this fixture on any flat surface. Power-Linking: you can power-link multiple units together via Neutrik PowerCON cables. The Elation UV-Spot 670 is for professionals who want high-quality 365 nm LEDs that produce a stunning UV-effect with minimal visible light. This light achieves the ultimate glow-effect – causing anything white or florescent to glow beautifully. Offering DMX or manual control, this fixture is intuitive to operate for beginners or pros. This light is a significant investment, but the UV-Spot 670 makes an unbeatable addition to any lighting lineup. Dimensions: 8.1 x 5 x 5 in. The Chauvet COREpar UV USB is an exciting member of a new family of fixtures that are compatible with the D-Fi USB system. Simply plug in a USB stick to the light and then run your light show from a smartphone or the D-Fi Hub. Chauvet has already been on the forefront of wireless DMX control with their Freedom Series, but the new D-Fi USB system offers the same level of control at a more accessible price (without compromising quality in the least). All that to say, the COREpar UV USB offers a lot of features that make your job easier, and your light show better. This light features one 70-watt state-of-the-art COB (ship on board) LED, making it an excellent wash light (100-degree beam angle). Chauvet has thought ahead for us by also including a lens that creates a more narrow beam (50-degree beam angle). The lens is easy to slip in and out allowing you to achieve the desired effect with minimal effort. D-Fi USB System: as mentioned above, the Chauvet COREpar UV USB is compatible with the innovative and budget-conscious D-Fi USB system. Simply plug a USB stick directly into the light, set it in place, and enjoy wireless DMX or master/slave operation. Forget about running DMX cables and wasting time – these lights are ready to go immediately. Operational Modes: DMX (1 or 5 channel), master/slave, sound active (with sound sensitivity), and auto-programs. Design: this unit has a durable but sleek design and sits flat on the ground. Power and DMX outlets are located on the side of the fixture. Easily fits inside truss column. This light significantly distances itself from others through its diversity – powerful 70-watt COB LED, wide beam angle, narrow beam angle with included lens, compatible with D-Fi wireless DMX system, and several operational modes to give you complete control. Financially, this light costs slightly less than other comparable wireless DMX fixtures. 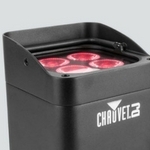 Chauvet has blended innovation with reasonable pricing – a winning combination. Dimensions: 5.5 x 7.9 x 10 in. To sum it up, the draw of this fixture is as follows: No power cords. No DMX cables. LEDs that produce RGB, amber, white, and UV! Hence the need to review the Chauvet Freedom Par Hex 4. Read our full review here. Battery-Powered: the Chauvet Freedom Par Hex-4 recharges in 6 hours, so even if you forget to charge it overnight, in most situations you will be fine. This fixture has an incredible battery life of 8 hours (all colors) and 20 hours (single color). Whether you’re DJing a wedding, dance, or party, the HEX-4 has you covered. Convenient Charging: as convenient as battery-powered lights are, they can be annoying and complicated to charge. It can be difficult to find enough outlets or power strips in your house to charge your entire uplight inventory. To make things easy and fast, Chauvet created the Freedom Charge 9 – a durable rolling road case that allows you to charge 9 fixtures simultaneously. Colors: this is an excellent black light, but it’s so much more. If you’re willing to invest in this fixture, enjoy vast color mixing options including red, green, blue, amber, white, and UV. Wireless DMX: if you’re looking for the ability to control a high-quality black light via DMX, but hate running cables, look no further than the Hex-4. 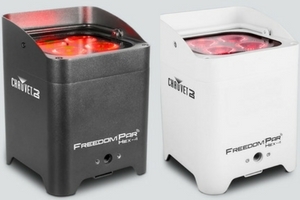 As part of Chauvet’s freedom series, the name is fitting. Enjoy complete freedom from power/DMX cables and control your light using either the FlareCON Air or D-Fi Hub. Carrying Handle: it’s the little things that make all the difference. There are several features that prove to be immensely thoughtful and helpful about this light. One such feature is the built-in carrying handle that makes it easier to move around. Glare Shield: if you’ve ever been blinded by one of your own fixtures, it’s not fun. Clients don’t appreciate it either. The Hex-4 includes a built-in glare shield to protect your eyes. Kickstand: this light includes a built-in adjustable kickstand so you can easily prop it up at the desired angle. This feature makes this light ideal for uplighting. The Chauvet Freedom Par Hex-4 offers a completely untethered experience. This unit is far more than a black light, but offers high-quality UV LEDs that will enhance whatever you’re doing. 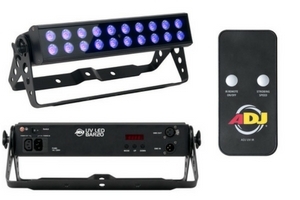 Increase the creativity and versatility of your light show by adding the Hex-4 to your lineup. Don’t forget to check out some of Chauvet’s innovative wireless DMX controllers. Dimensions: 5.4 x 5.7 x 7.2 in. If you’re looking for a weather-resistant black light, check out the American DJ UV 72IP. Housed in a solid metal casing, this light has an IP65 rating. It is ideal for outdoor use including concerts, DJ events, theme parks, and even cruise ships. This light holds its own in dust and rain thanks to secure housing and powerCON DMX/power connectors. Enjoy all the features expected of an American DJ product including 3 DMX channels, 5 dimmer curves, 1-100% electronic dimming, and flicker free performance. For any mobile DJ or production that works outdoors, this UV light is worth serious consideration. Remote: compatible with several ADJ remote controls including the WiFLY EXR DMX, UC-IR, and Airstream IR. With so many wireless DMX options on the market, controlling this black light is simpler than ever. Power-Linking: linking multiple units can save you time and headaches. This fixture includes powerCON connectors which allow you to connect multiple units outdoors. Performance: enjoy complete control of the UV 72IP by utilizing the light’s various features – electronic dimming (0-100%), strobe, dimmer curves, and flicker free performance. 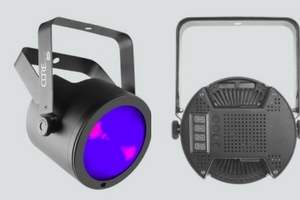 The American DJ UV 72IP is a professional black light built to withstand outdoor conditions. If you desire a versatile light that can perform indoors as well as outdoors, this fixture is a worthy investment. It is easily mountable, DMX compatible, extremely powerful and bright, features insulated connectors, and can be operated wirelessly thanks to ADJ’s diverse line of remote control products. Any drawbacks? Not really, but keep in mind that this unit weighs 12 lbs and is slightly heavier than your average black light. If you’re planning to move this fixture often, make sure you’re up to the task. Dimensions: 8.25 x 11.5 x 8.5 in. Thanks for checking out our Best Black Light Buyers Guide. We hope our research and reviews have been helpful to you.